Review: Bella Swan and Edward Cullen meet for the first time. They then start to get too close to each other. Really good film. Enjoyed it a lot. This is the first instalment of 5 books. The only problem I really have is Kristen Stewart. I just find she always looks so unhappy all the time. I just wish that she could smile and enjoy herself a bit more. 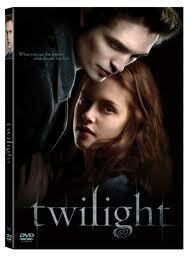 Catherine Hardwicke has done a fantastic job directing this film. Robert Pattinson had to fly to Catherine Hardwicke’s house in order to audition. Kristen Stewart was already chosen to play Bella and was at the house. They had to audition together and that was the first time that they had both met. They had auditioned over 5,000 actors before Robert Pattinson was chosen for the role. This film only took 48 days to film.